Scents are extremely powerful and evocative. Just think how one waft a particular smell can take you back to a previous situation – so powerfully that you can ‘see’ it and ‘feel’ it. Combine that power with a substance that has medicinal properties but is in no way harmful and it is easy to understand why aromatherapy is so popular. Essential oils have been used for centuries, going right back to the Ancient Egyptians. However, the modern term ‘aromatherapy’ was first used by a French chemist called Professor Rene-Maurice Gatfosee. He worked for the perfume trade, often using essential plant oils for creating fragrances. Some of these oils were extremely volatile and in June 1910, there was an explosion which burned his arm severely. He plunged his arm into the nearest cooling liquid which was a vat of lavender. To his surprise and huge relief, the pain stopped straight away. Despite the severity of the burn, there were no blisters and no scarring. Because of this incident, he forgot perfume and transferred his attention entirely to the medicinal properties of the plant oils. He created the term ‘Aromatherapy’ in 1920 and published a book of that name in 1937. Ancient alchemists used plant oils for healing and called them ‘essential’ because of their belief that the scents showed the true, hidden inner nature of the plant. Ayurvedic healing is also enjoying resurgence. This Indian tradition believes that the scents from essential oils are needed to obtain the correct doshic balance which is the basis for good health. Throughout India, it is still believed that scents can have a positive affect and so many of the Indian rituals, especially worship, involve the use of flowers. Garlands decorate shrines in houses, villages and temples. People take them to temples to be blessed and then wear them for the rest of the day to strengthen and heighten their spiritual senses. To the Ancient Egyptians, smelling good brought a person nearer to the Gods. To that end, they used oils daily when bathing. This became even more important once death had occurred. They had oils that ‘matched’ to each organ and the body would be heavily anointed to make it acceptable to the Gods and ease the persons’ passage into the next life. Sadly, there was a period in history when mans’ greed for power took over. When Alexander the Great conquered Egypt, all the victors were interested in were demanding oil formulas for power over others – especially in the form of aphrodisiacs. The downward slide continued in Greece. Corrupt priests gave the people oil formulas with costly ingredients missing and so the desired results weren’t obtained, leading to a loss of confidence in the practice. The Romans took the abuse of essential oils to the limit. They spent fortunes to have their fountains running with them and included them in orgies – and not just the food and drink kind! Christian priests were horrified by this behavior and forbade their use. Aromatherapy is a perfectly natural form of health care. So much so, that in Europe it is being increasingly used alongside conventional medicine as a reimbursable treatment. Japanese businesses now use scent to increase the performance of their workers. This followed a study where errors made by key punch operators were halved when a lemon scent was piped into their offices via the ventilation system. Other studies showed that passengers on the New York subway were less aggressive if the compartments contained a pleasing smell of food and that eucalyptus oil is good for keeping truck drivers awake and alert. Aromatherapy doesn’t have to smell! Manufacturers have quickly recognized the potency of the word and now apply it to many products, especially shampoos. However, although you can’t have aromatherapy without essential oils, you can use essential oils without an aroma. To a qualified Aroma therapist, the difference lies in both the application and the intent. Aromatherapy is the goal of creating positive changes, be they physical, emotional, mental or spiritual, with the use of essential oils. Steam distillation is used to extract the essential oils from plant. These oils are then condensed. It takes enormous amount of plant material to get a tiny amount of oil. For example, it takes 2,000 pounds of rose petals to give one pound of oil. When you think how much one rose petal weighs…that’s a lot of petals! The oils are extremely concentrated and that is why only single drops are often used – which is just as well considering the price! One drop of oil would contain the equivalent chemicals to thirty cups of tea distilled from the same plant. The oils can also be very complex and may contain from one hundred to four hundred naturally extracted chemical compounds. It is this complexity which gives each oil a vast range of healing properties. Because the cost of making true oils, most products made for the commercial market consist of synthetic chemicals. These may smell like the real thing but they don’t work in the body in the way that oils do. They’re not easily eliminated from the body as oils are and they may provoke allergic reactions. There are many methods but the two main ones are by inhalation and application to the skin. Inhalation – via the steam from a water bath, in the fumes from a humidifier, in the wax from a candle or simply as a drop on a handkerchief held to the nose. There are cells in the upper part of the nose that capture the molecules of the scent and this sends signals to the limbic region of the brain. This area helps to control the basic functions of the body needed for survival by influencing the glands that secrete hormones which affect the whole body. This is why a smell can have such an immediate affect. Via the skin – Because of their high concentration, oils are often diluted by being added to cream or lotions before application. They may be absorbed though the pores of the skin and hair follicles. They then enter the bloodstream and are able to travel around the body. If fragrant oils are being used, this method of application would also include inhalation as you would smell the oils as they are rubbed in. Why are they better than conventional drugs? Synthetic chemicals and medications can accumulate in the body and often rely on this accumulation to work. However, it is the accumulation that can cause unwanted side effects. Essential oils don’t accumulate and are quickly eliminated from the body. Also, because they don’t need to be swallowed, oils don’t harm or aggravate the stomach or liver. Because they bypass these organs, their strength is not altered by the metabolic processes that conventional medications undergo. It would be impossible to write a list as aromatherapy can be used for pretty much anything! You can easily try it out for yourself. It’s simple to pick up a mood-lifting scented candle or a lavender scented pillow to help yourself sleep. 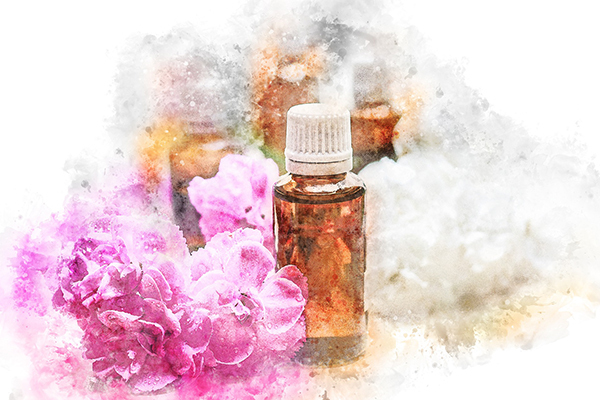 If you have a specific medical ailment that you would like aromatherapy to help with, it’s best to find a qualified practitioner in your area. Aromatherapy is a complementary health modality which can be integrated into allopathic health care plans. Individuals should discuss essential oils with their physician before using aromatherapy products to complement medical conditions. i always have some Aromatherapy candles at home and i light them before going to sleep. they can really ease the stress and tension from my daily activities.